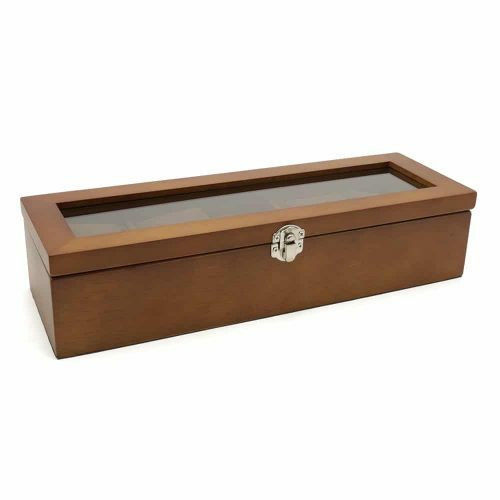 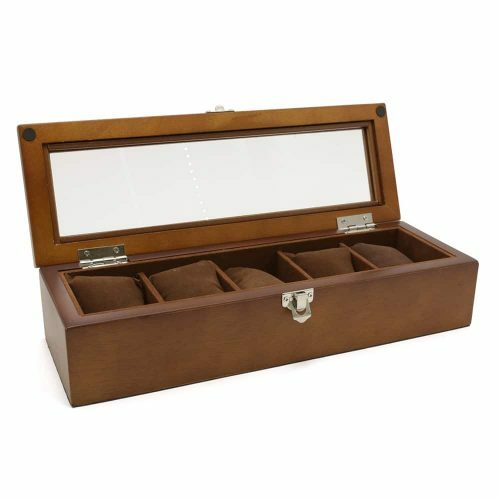 This Dark Mahogany 4 Slot Automatic Watch Winder is the perfect way to keep your watches maintained and safely stored. 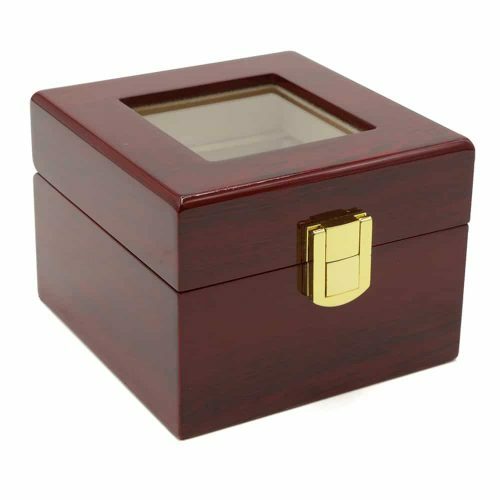 This automatic winder has an elegant dark mahogany exterior with a glossy finish accentuated by a high-quality cream velvet interior. 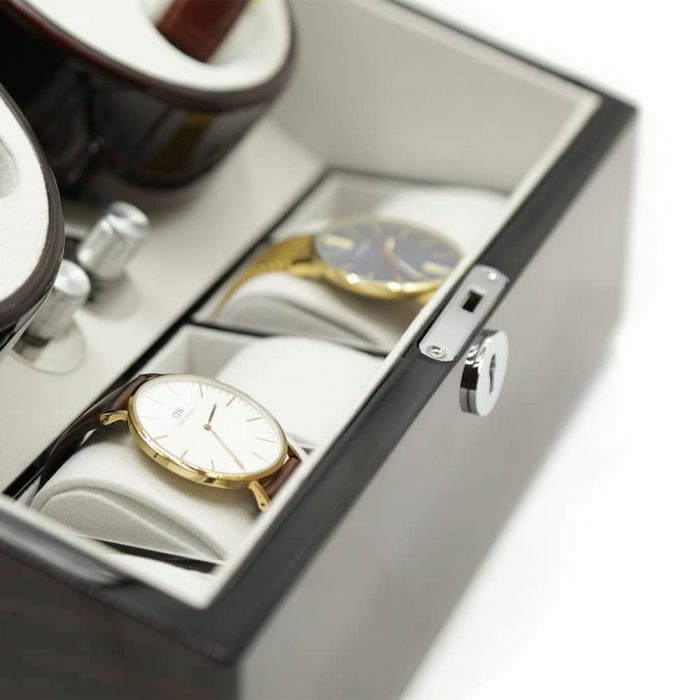 It has 4 slots for winding your watches with 4 motor functions giving you more options depending on your watch. 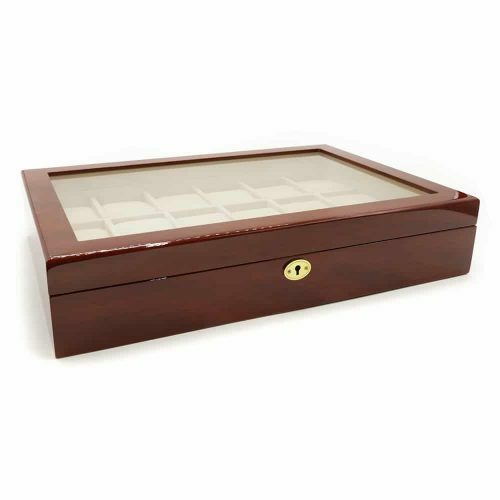 It also has an additional 5 slots making it great for storing your valuables. 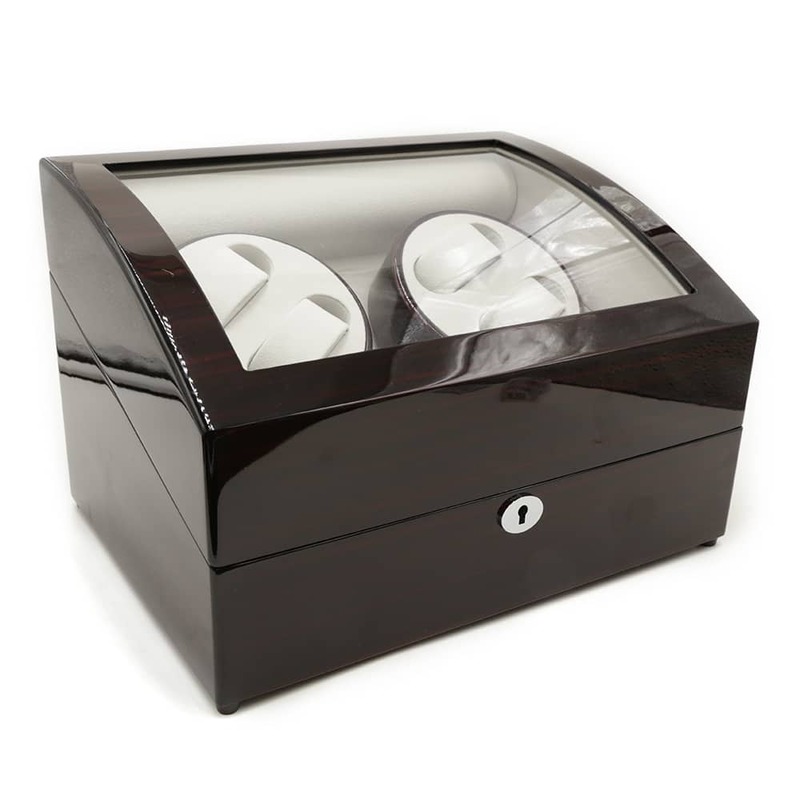 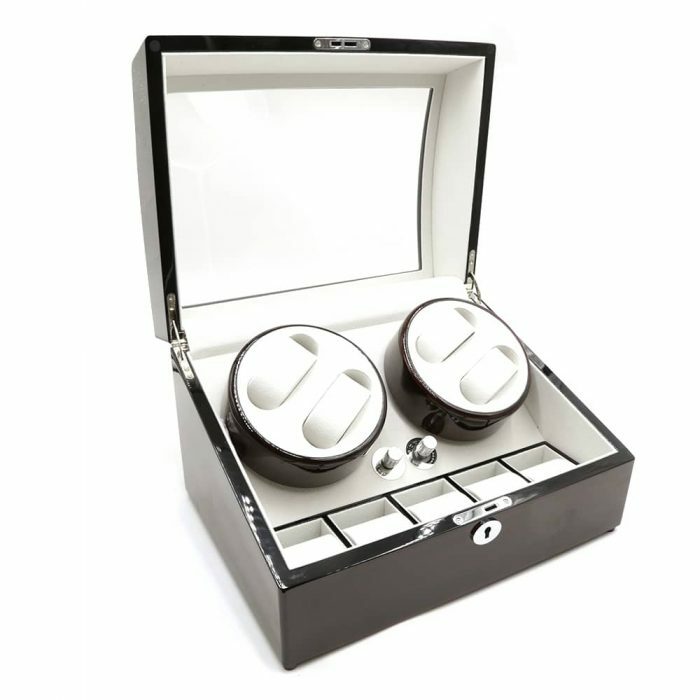 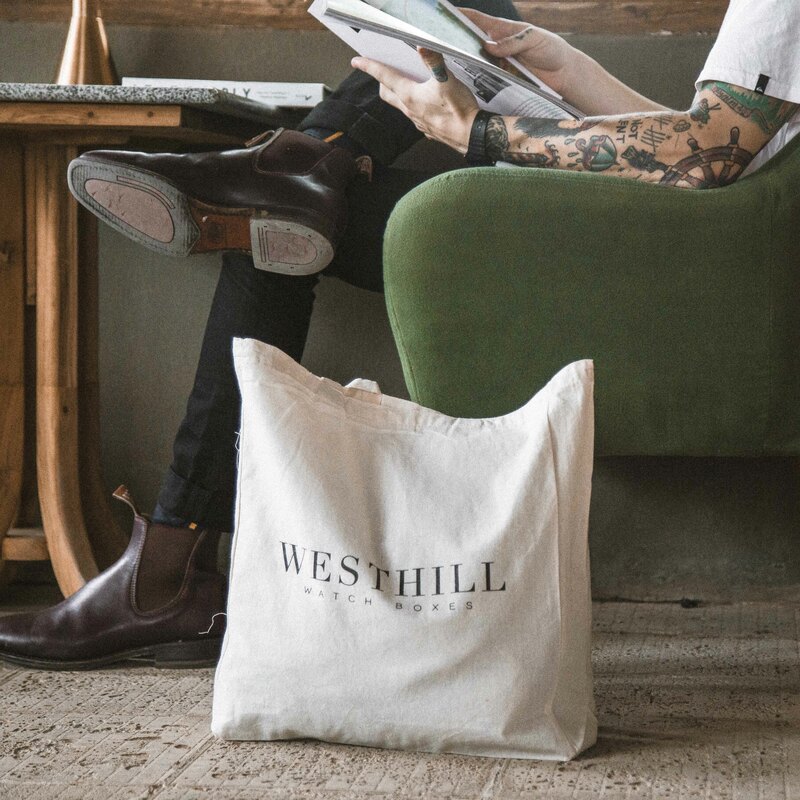 Equipped with the latest technology, this watch winder operates quietly making it unobtrusive and great for any room. The lid also has a see-through panel which allows you to view your watches as they’re winding. 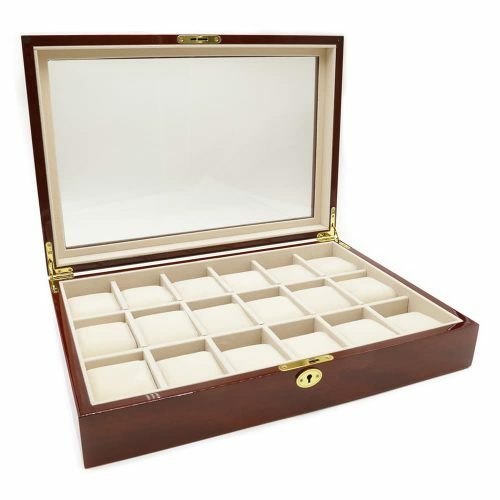 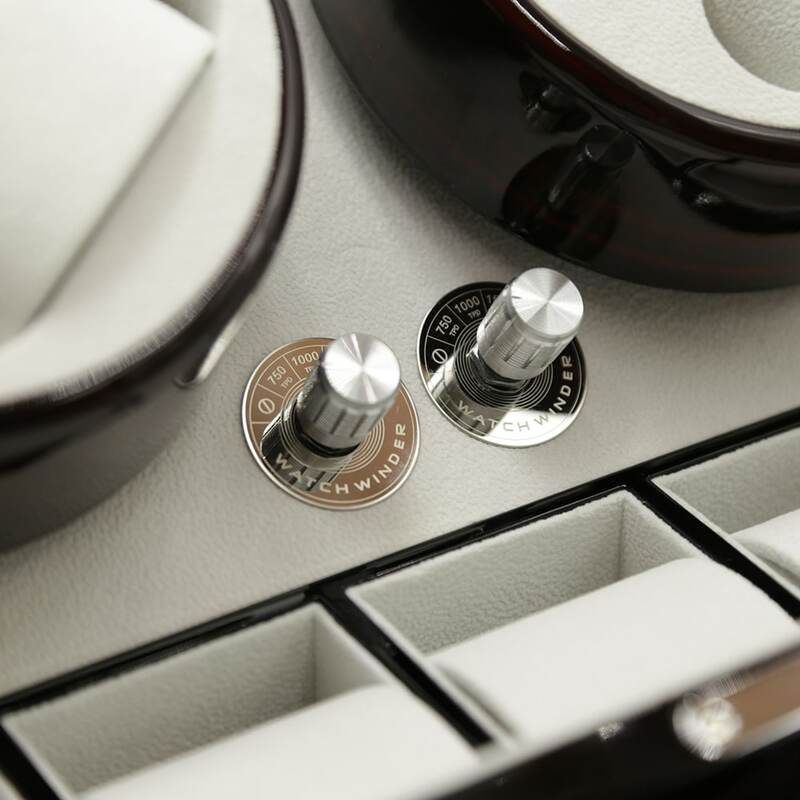 To ensure that your watches are safely stored, the lid can also be secured with the included lock and key. - Lie down the watch winder when you are ready to wind the watch. 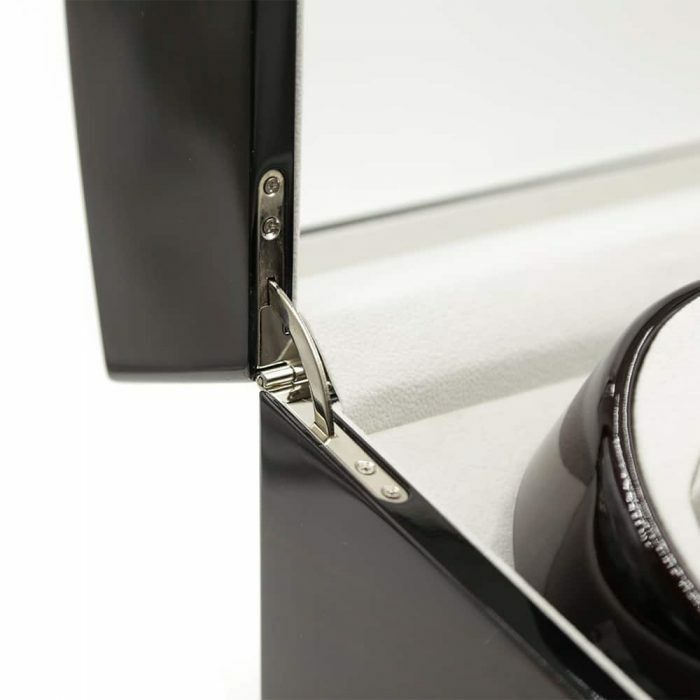 It won't work if you put it uprightly. 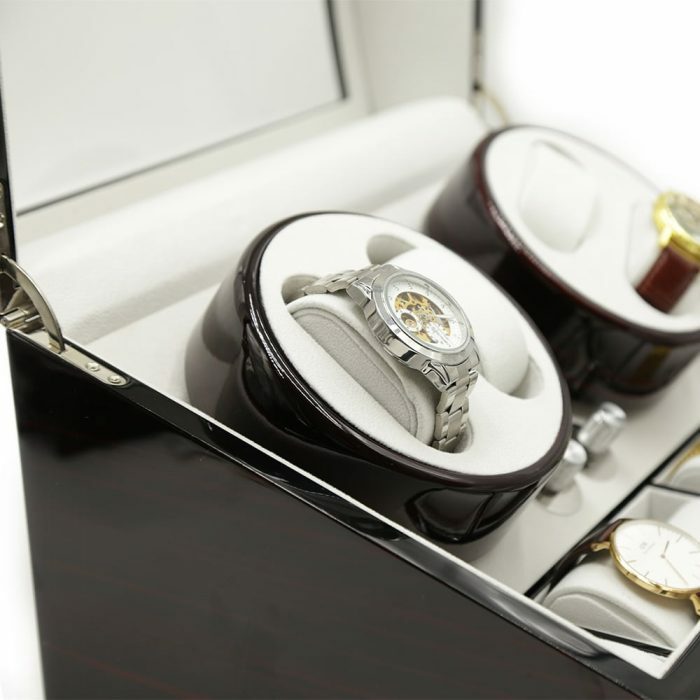 - Please make sure the watch is tightly fixed on the pillow before you put it into the case..
- Please makes sure the watch you put into the watch winder performs well. 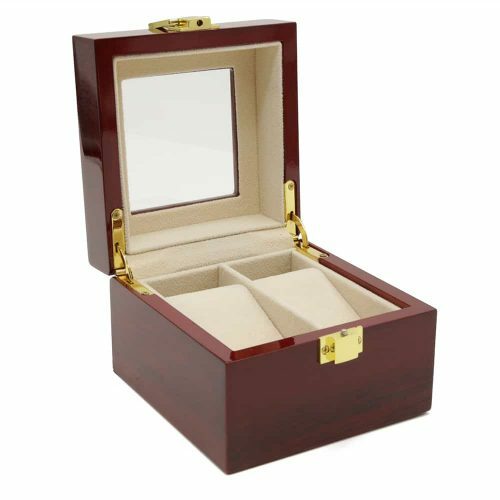 - Please do not stop or remove watch by hand during operation. 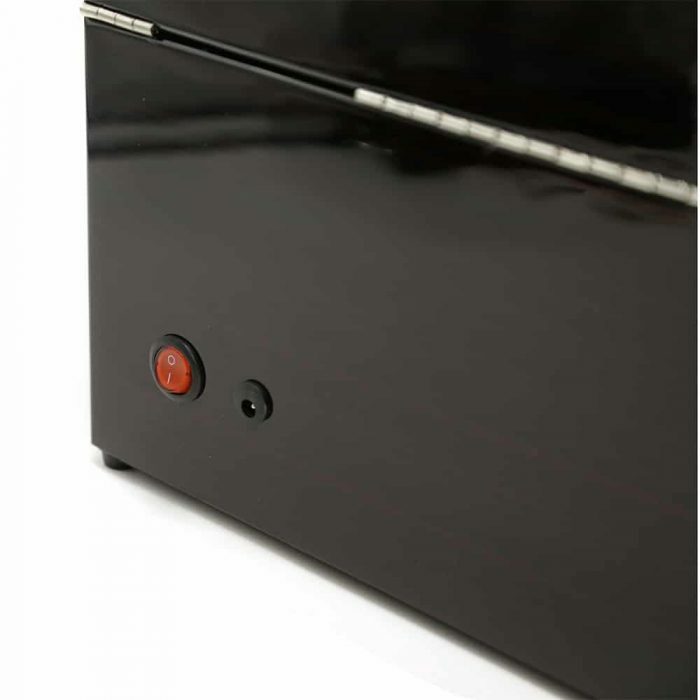 - Please remove the battery and adapter if you don't use this case for a long time. - This watch winder should be placed far away from any magnetic object.